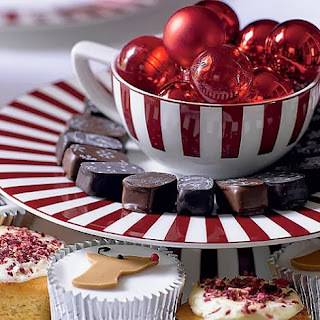 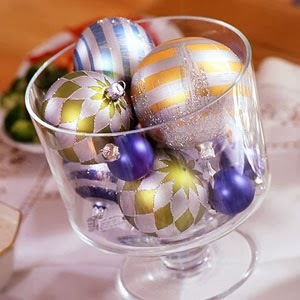 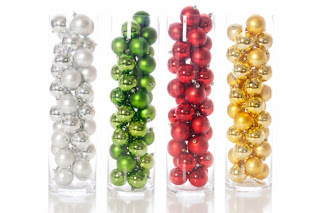 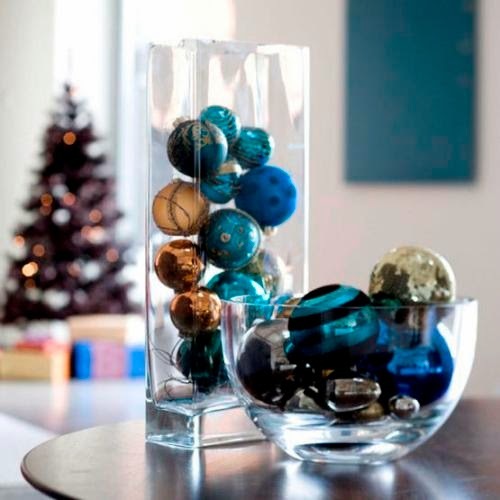 The centerpieces are ideal decorative elements to embellish any event and in particular the celebrations held during the Christmas season, here is a selection of Christmas Centerpieces, made with spheres. Centerpiece with gold and silver spheres placed in a long glass vase. Centerpiece with gold and turquoise spheres placed on two types of glass containers. 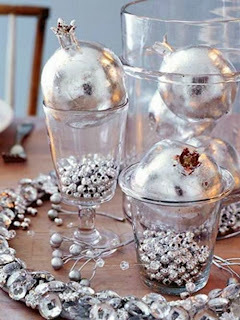 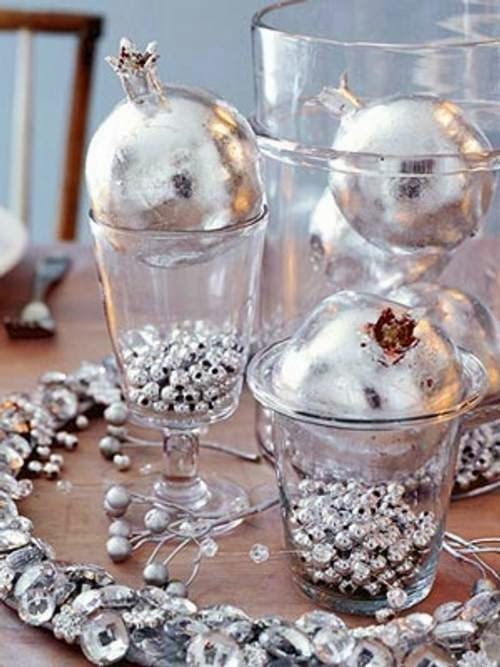 Centerpiece with silver spheres, each placed in a glass. 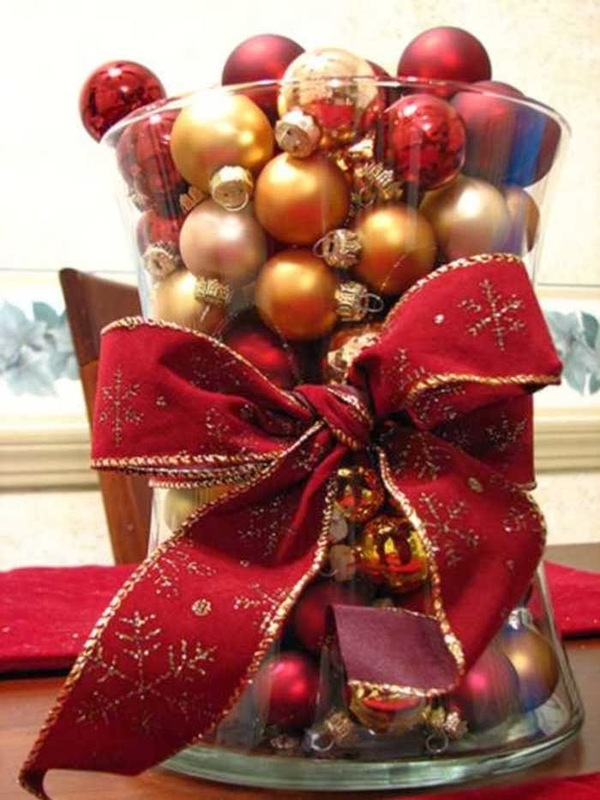 Centerpiece with red, gold and silver spheres, placed in a tall container with a big red bow in the middle. 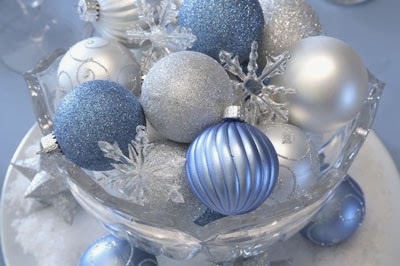 Centerpiece with blue and silver spheres and some crystals between them. 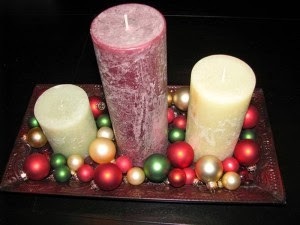 Centerpiece with multicolored spheres and candles. 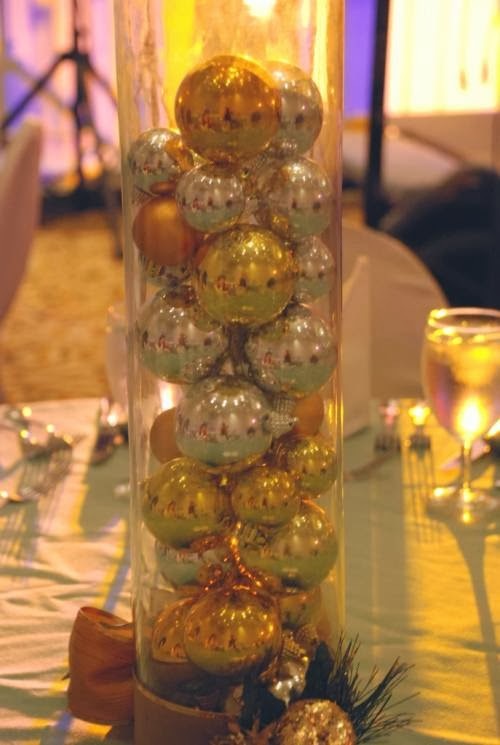 Centerpiece with spheres of different colors. Centerpiece with spheres of one color placed in glass containers. 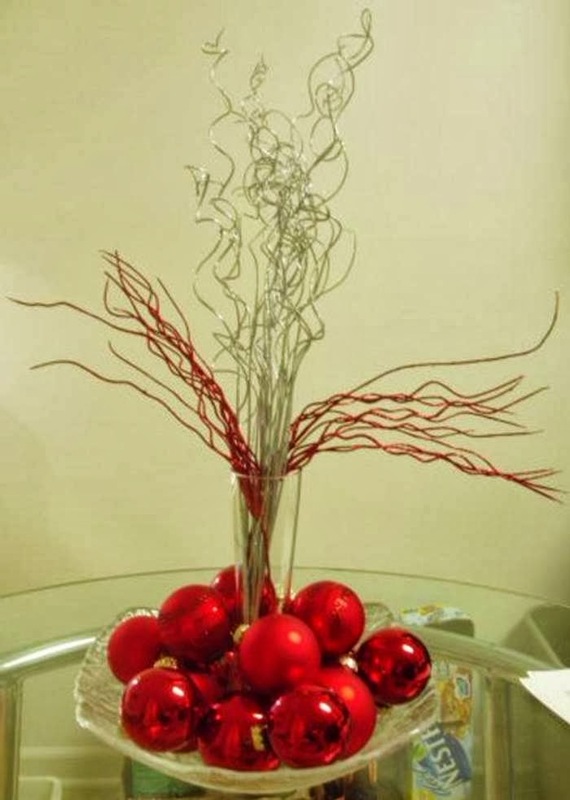 Centerpiece with red spheres at the base and branches in the central part. 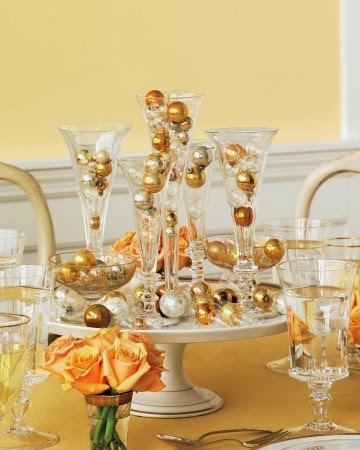 Centerpiece with gold and silver spheres placed in different types of glasses. 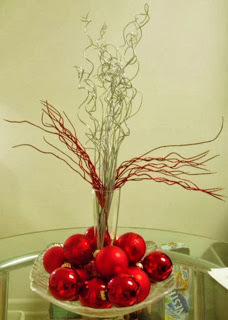 Centerpiece with spheres placed in a bowl, at the base chocolates were placed.